L-DOPA is an amino acid that occurs naturally in humans and a number of other organisms. L-DOPA is an amino acid and the precursor of dopamine and several other phenethylamine neurotransmitters. 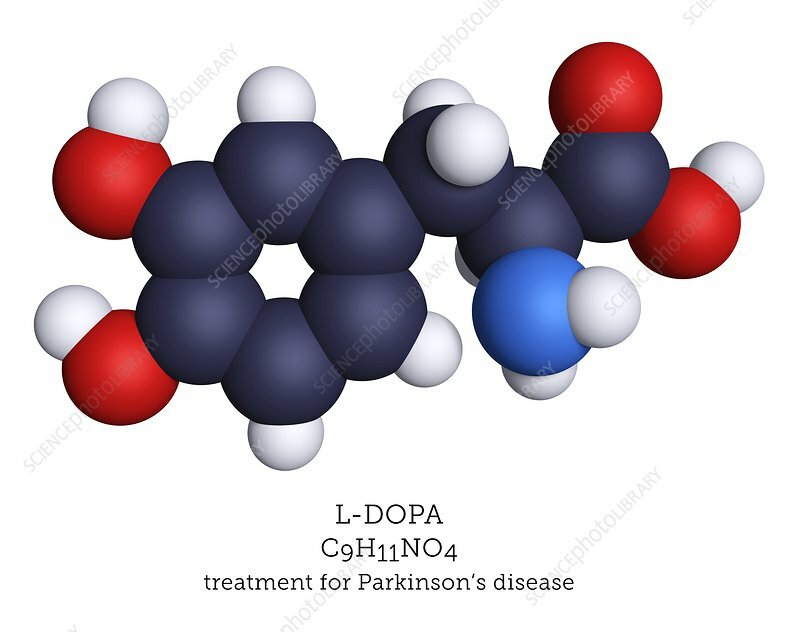 L-DOPA is used to treat Parkinson's disease by increasing the concentration of dopamine in the brain. Atoms are represented as spheres and are colour-coded: carbon (black), hydrogen (white), nitrogen (blue) and oxygen (red).